Planning a training seminar or business meeting near Kenosha? 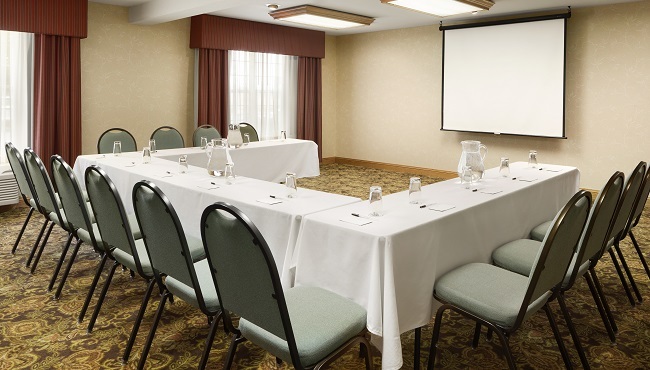 Reserve the meeting room at the Country Inn & Suites in Kenosha and take advantage of versatile accommodations and conveniences such as an overhead projector and free Wi-Fi. Our convenient location off I-94 is only eight miles from downtown Kenosha, making it easy for attendees to access your event. If you’d like to serve refreshments or a full meal, our friendly staff can help you arrange catering through a trusted local vendor. Learn about group tours or submit an event request.